It's the time of year when we want to encourage you all to keep those hooks and needles moving! 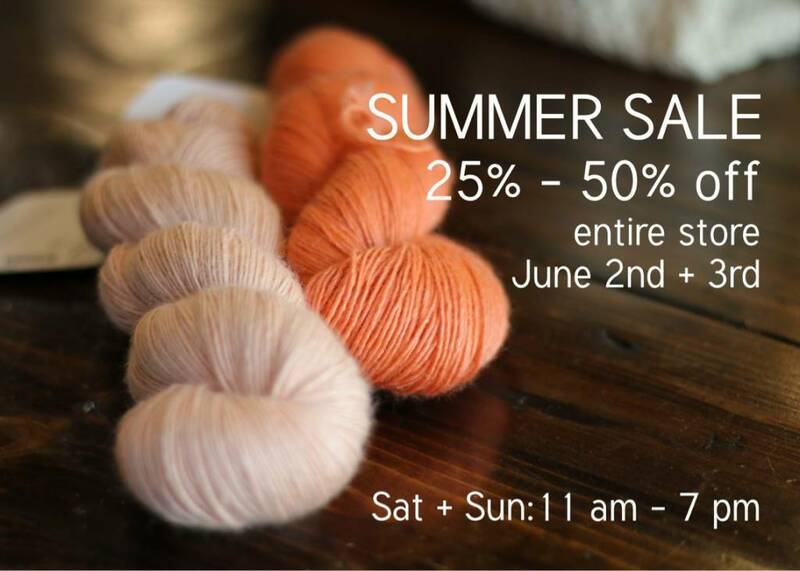 One might think that Los Angeles would be too hot for yarn in the month of June, but we are heading right into our beloved season of "June gloom" and there will be plenty of chilly days and nights to enjoy our favorite crafts. Do come by this weekend for our Summer Sale so that you'll be prepared when the need strikes.